Disclaimer: this post is reviewed or updated every now and then and the reviewed tools / platforms do frequently also get updates or added features. I cannot guarantee that features or prices mentioned here are still accurate at the time you read this post. 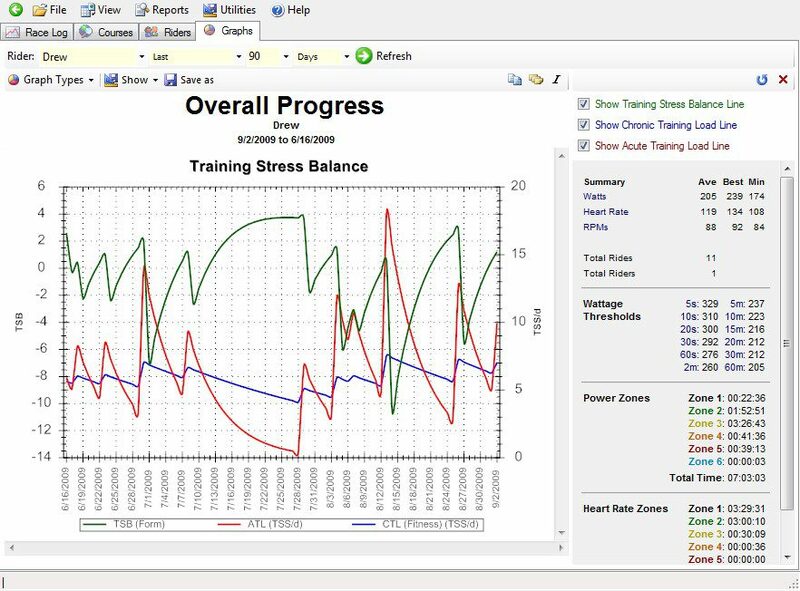 Over the years, I’ve come across many indoor training tools, either as platform or software package, that (claim) to make your ‘mind-numbingly dull’ indoor training more bearable. And at times I’ve written short reviews on them. As the current indoor season comes to a close, I’m wrapping up my experiences, hoping this will be useful for you. Well, that (updated) review didn’t happen, neither did exploring Kinomap and RGT. The former, like for instance Bkool, is still a serious option to consider, but honestly, I haven’t looked at it since I mentioned it. I have been looking into RGT, and even tried the Stelvio once or twice, but I decided I didn’t like it for the same reason I don’t like Zwift: it’s a cartoon network. Don’t misunderstand me: I immensely appreciate the efforts the developers put into their work and I wouldn’t advise against using any of the options that are not my favorites. In the meantime, CVT has re-branded itself to Rouvy – read all about the ins and outs of that here. Besides re-branding, they also added support for TrainingPeaks (workouts), created a set of their own (Rouvy Guides, a work in progress), added branded challenges and made some major modifications to the career path. More on that on Rouvy’s website here – I’ve updated the relevant CVT / Rouvy section below. First off, I should mention that I actually use several of these tools myself. While I enjoy the possibilities that CVT Rouvy offers, I sometimes just want to watch a high quality video, which I can only find in VeloReality and Tacx TTS. And yes, I am aware that there are other (serious) contenders out there that have been around for a while – like TrainerRoad and the Sufferfest – and many more that are new or currently in development. At present, I’m particularly interested in Kinomap, Bkool and Road Grand Tours, which I will try and add in this review in the near future – in the meantime, if you want more reviews, hop over to DCR’s website. CycleOps VirtualTraining (CVT) Rouvy is platform that became more attractive when I upgraded the iGenius to a smart model to a Tacx Neo and got Paula one too. It has a desktop version as well as a smartphone / tablet app (iOS and Android). 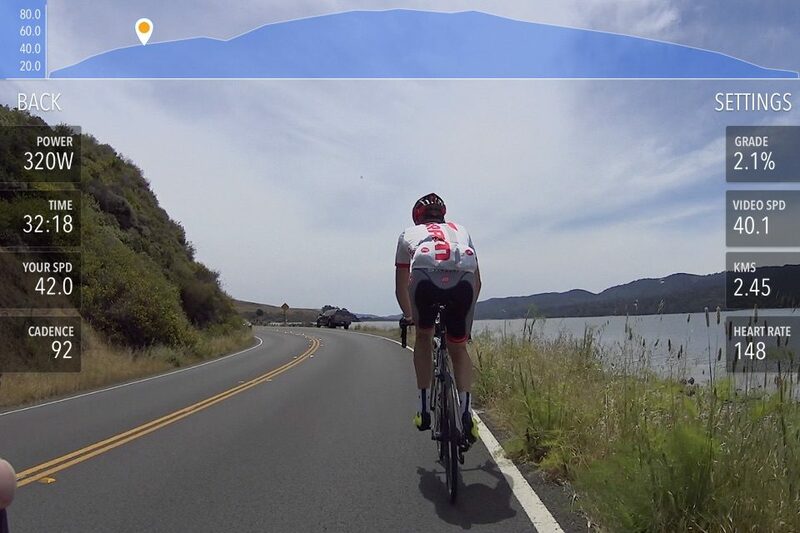 As with Zwift and Tacx TTS, I actually only use the desktop version, because that’s hooked up to a 52″ smart tv with a wired network connection. And it performs better than when streaming off a tablet or smartphone, plus the quality of the footage is (much) better. There is a big selection of routes available, many of those with filmed footage. The films by CVT Rouvy (look for author vtapp) are – in general – of better quality, but not as good as those offered by Tacx*. However, the possibility of creating and uploading your own footage, to ride again during the indoor season, is a very nice addition. Since I got myself an action cam with GPS (Sony AS200VR), I’m looking forward to creating my first ‘Real Life Video’. CVT Rouvy offers a good ‘route creation and editor tool’ too, which also enables ‘smoothing’ of the profile before you upload it to the cloud. This may come in handy, as I have experienced that GPS on many devices can be a good deal off from the truth, resulting in erratic profiles. *Tacx films are probably the best from a quality point of view – they’re also offered by VeloReality – but they don’t come cheap: prices start at €9.95 for a download version of a short(-ish) ride. I’ve been trying out Zwift when it was still in beta, but having an Ant+ only Tacx iGenius, it didn’t work very well. However, Zwift went ‘1.0’ late last year, I upgraded the Tacx with a Ant+ FE-C brake unit and Strava gave me two ‘free’ bonus months on Zwift, so I gave it another shot. After some initial troubleshooting, I finally got it to work right and after my bonus expired ‘zwiftly’, I decided to go for a paid ($10/mo) subscription. Even though you can cancel or suspend anytime – i.e. during summer – continuing to pay the fee, helps develop the platform even more and I’m confident it’s a ‘sound’ investment. Besides, there will be plenty of days during summer that are just too bad for a wimp like me to go out, and having a dedicated bike on the trainer, makes it very easy to hop on and do some zwifting instead. 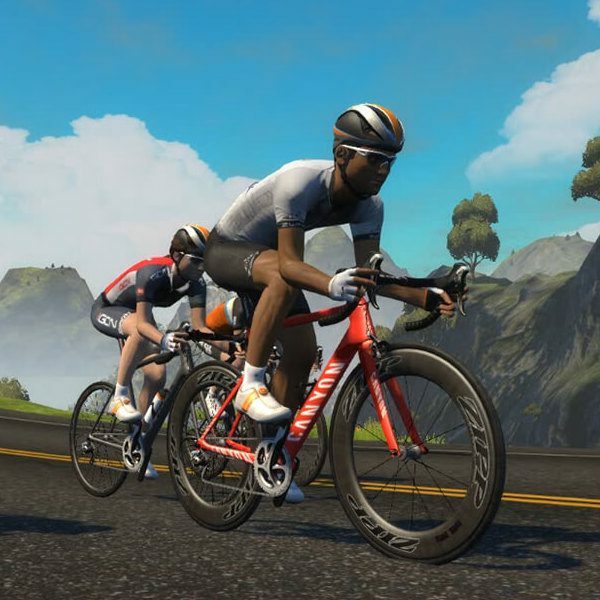 Zwift website here – there are also numerous helpful resources, to get you set up/started, or to help you troubleshoot a problem. A good Facebook group to get yourself into would be ‘Zwift Riders‘ and you’ll find links to all other resources there. Read good in depth reviews on Zwift here, here or here (saving me the trouble – I’m lazy like that). *Mostly, because – as on any such platform, or Strava – there are always people in or on there that are not. Also, ‘cheating’ seems to be a recurring issue, which – as sad as it may be – you should just ignore. Two more players in the field that I briefly looked at, but could not get to work properly, are Bkool and FulGaz*. FulGaz offers many ‘real life videos’ like CVT or Tacx, but many – if not most – are filmed from a bicycle. I do not particularly like that kind of footage – apart from the handlebars, shifters and other visible cyclist’s attributes or even other cyclists ‘around you’, the images often sway with the motion of the bike. But, that is a personal preference and if you’re the opposite and just like to ride ‘in the bunch’, it offers sufficient variety. However, it’s smartphone / tablet only and Apple only at that. Sadly, it doesn’t work well with Apple TV (yet) and you’ll need the lightning to HDMI adapter to get it hooked up to your big screen, which kind of defies the purpose. 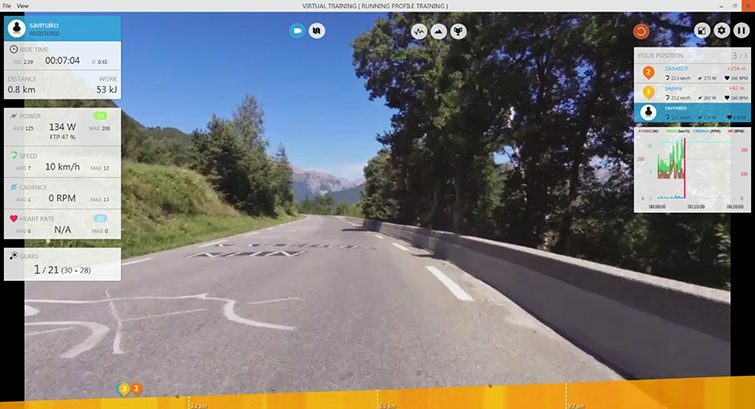 Probably the most attractive part of FulGaz is that it offers footage from famous events and routes like the Tour de France, Ironman races and the Olympics. 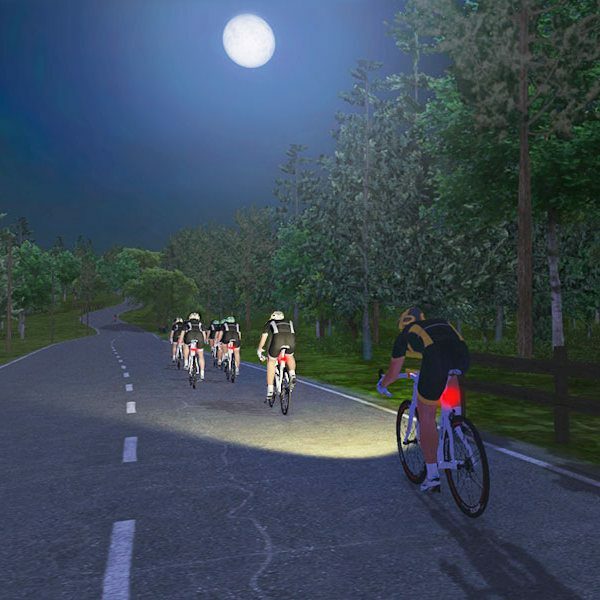 Bkool offers much more than RLV only – it’s a mixture of that AND Zwift. It has virtual worlds, velodromes, multiplayer races and apparently it offers ‘3D real weather’, meaning you can set/simulate whether or not it rains, what type of wind you’re ‘enjoying’, etc. Bkool looks very promising to me though, and I will check back often and eventually try it with a subscription, once I’m certain it will work with our trainers. I also had a look at VeloReality. but couldn’t get that work properly at all and it doesn’t offer much more than Tacx TTS. The biggest advantage is that the software is free, but as TTS Advanced came with my iGenius, for me that’s not much of an issue. I eventually got it to work not too long after posting this, and it has one major advantage over TTS, in that it offers ‘virtual gearing’. Virtual gearing is found in Zwift and CVT Rouvy as well, where it is confusingly labeled ‘difficulty or reality slider’, but the principle is the same. If you enable virtual gearing, you can set it to ‘top’ at – say – 10% inclines max and you can also set a minimum below which you do not want any modification. This means if the road incline is more than the minimum – 5% in my case – the program will gradually adapt resistance, up to the set maximum. I don’t know the exact numbers, but as an example: 8% will feel like 6%, 10% like 8% and 16% or 24% will not feel more difficult than 10%. However, your virtual speed is also reduced – Watts are Watts and you’re not actually putting out more, so you’ll go slower. But, at least you’ll have enough gears to continue to pedal more comfortably, i.e. with higher RPM, instead of stomping your virtual way up. And while the author of much of the video footage VeloReality sells is the same, I cannot use my already purchased Tacx films – I have bought a couple (okay: a few more than a couple) but I’m not keen on spending a lot more on virtually duplicating my collection. If you are a number/data/statistics nerd, you’re probably using Golden Cheetah or TrainingPeaks WKO to analyze your workouts. Obviously, this will also depend on the hardware you have available, like a power meter, and your level of competitiveness. As WKO was too pricey for my taste and the free Golden Cheetah made me dizzy (but I’m still trying to master that too), I took a shot at PerfPRO Studio. PerfPRO Studio is a stand-alone training application, supporting more than one connected trainer at a time too. 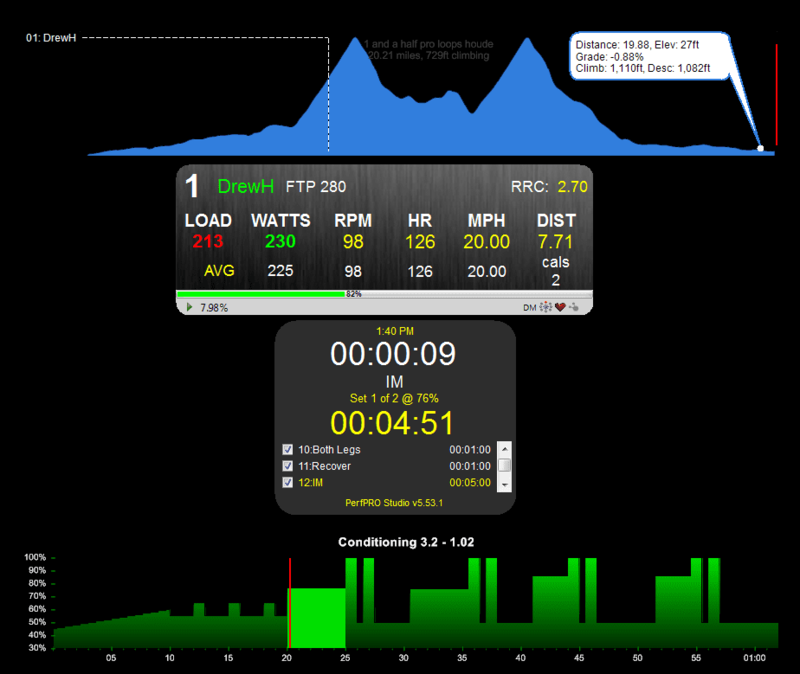 It comes standard with many workouts (including the Sufferfest*) pre-installed, but it will also let you ride RLV, provided you have a GPX file with your video (Tacx own TTS files won’t work). And if you want to build up and sync a workout from your own action cam video you can do that too. This is similar to CVT functionality – I have not tried this yet either and it may well be easier to use Sony’s own software for this. To satisfy your need for numbers and graphs, PerfPRO Analyzer is included in the package. This will analyze ALL of your workouts (bike, run, swim) with data taken from just about any device (Garmin, PowerTap, Stages, SRM, Tacx). It is a complete performance analysis tool producing more detailed (statistical) information on your performance than you can imagine. Unless you’re used to any of the other power packages, of course – I have barely scratched the surface, but I’m hoping to master it by the time I want to get ready for another mad climbing expedition in the Alps. *No videos are included – you will still need to buy them if you want the full workout.